The first fight between Timothy Bradley and Manny Pacquiao will forever be known for the cloud of controversy that emerged following the decision in that fight by three judges that many, myself included thought was a travesty. If there was a silver lining in the controversy that not only did damage to both fighters, but also to the integrity of the sport, is when there is a controversial outcome, there is always the potential for a rematch. In the two years since their first fight both fighters have gone through trials and tribulations. Bradley sought validation and recognition for not only his victory in the first fight, but also the recognition that he was due as one of the best pound for pound fighters in the world. Pacquiao, after losing two of his last three fights, including a devastating knockout at the hands of Juan Manuel Marquez looked to prove that he was still the fighter who had spent years dominating fighters much bigger than himself as he went up the weight scale through various weight classes with relative ease. For two fighters seeking vindication it was more than appropriate that a rematch take place. On April 12th, Boxing fans got the rematch that they demanded. In the lead up to the rematch I commented that the most intriguing storyline in my mind centered on the three judges who were charged the responsibility of rendering a decision if the fight went the full twelve round distance. In all honesty, I felt that although both fighters are highly skilled that the fight might not have been as tactical due to both fighters not wanting to leave any doubt as to the outcome of this fight. Although I did not expect either fighter to come out with reckless abandon I was somewhat surprised to see the fight begin tactically with both fighters looking to counter each other. In contrast, to the first fight, where Pacquiao was able to land his left hand and mix in combinations in the early going, the story of the early rounds of the rematch was Bradley’s ability to bring the fight to Pacquiao and land his right hand to the body and head. I feel Bradley won three out of the first four rounds based largely on being the aggressor and his lateral movement. This was highlighted twice in the early rounds first in round two when Pacquiao knocked Bradley off balance with a straight left hand and Bradley came back very aggressively. Bradley returned the favor in round four by staggering Pacquiao with an overhand right that briefly lifted Pacquiao off the canvas. Bradley, who said prior to the fight that he was looking to knock Pacquiao out was clearly intent to not let this fight go to the scorecards. It was also clear that Bradley was able to stun Pacquiao in this fight, which was something he wasn’t able to do in the first fight. As the fight progressed however, the momentum shifted in Pacquiao’s favor. Gradually Bradley’s aggression seemed to start working against him in that he was putting so much behind everything he threw. As the fight went on it seemed as though he missed more than he landed and seemed to change his strategy slightly as he looked to entice Pacquiao to come in recklessly and catch him coming in. Bradley clearly was looking to land one knockout punch in the same manner that Juan Manuel Marquez was able to knock Pacquiao out in their fourth fight in December 2012. This allowed Pacquiao in my mind to take the initiative and outwork Bradley in spurts over the course of much of the second half of the fight. Some might believe that it would have served Bradley better to box Pacquiao and not look to land power shots whenever he threw punches. Whether or not Bradley’s strategy was directly attributed to the blame some placed upon him after the controversial outcome of the first fight in not wanting to leave any doubts in the rematch is a question that only he can answer. As the fight went on I felt the strategy worked against him and cost him rounds that were otherwise close. In contrast, in the early rounds Bradley clearly brought the fight to Pacquiao and dictated how the fight was being fought. Manny Pacquiao’s ability to make his opponent miss and respond with quick combinations and lateral movement is what turned this fight around for him in my opinion. As was the case in the first fight, the rematch between Bradley and Pacquiao would go the distance. I felt that unlike the first fight, the rematch was more competitive and that there would be some difference of opinion as to the scoring. In the first fight, I had Pacquiao winning every round based on his overall ring generalship, ability to land cleanly, and his defense. Much like the first fight, the rematch provided rounds where you could make an argument for either fighter having won those rounds. Unlike the first fight, where I felt Timothy Bradley simply did not do enough to win rounds that wasn’t the case in the rematch. Although I feel that the fight gradually got away from him from the fifth round on, I felt that he won three out of the first four rounds clearly and can easily see how some might have scored four out of the first five rounds for him. From my perspective, the momentum shifted to Pacquiao starting in the fifth round and Pacquiao gradually took control of the fight from that point on. Unofficially I had Manny Pacquiao winning this fight 117-111, or nine rounds to three. Unlike the first fight, there would be no controversy this time. Judges Michael Pernick and Craig Metcalfe each scored the fight 116-112, and judge Glenn Trowbridge scored the fight by a wider margin of 118-110, unanimously in favor of Pacquiao. With the win, Pacquiao regains the WBO World Welterweight championship that he had lost to Bradley in the first fight and his ninth world title overall in his career. Following the fight, I commented on Twitter that this was an adequate decision for a fight that unlike the first fight will be remembered for all the right reasons. Although some might have difficulty in understanding the scorecard of judge Glenn Trowbridge of 118-110 or ten rounds of two, the first five rounds of this fight were what is commonly referred to as “Swing Rounds” where an argument could be made for either fighter having won those rounds. As I have said many times over the years, when it comes to “Swing Rounds” it will often boil down to what a judge prefers in their own individual criteria based on clean punching, effective aggressiveness, ring generalship, and defense that will determine who wins a round. Even though some may not agree with judge Trowbridge’s scorecard, I believe that all three judges were very consistent in this fight and deserve praise for the adequate job they did in this fight. There was no controversy in this fight and that should be viewed as a win for the sport in the bigger picture. One fight however, will probably not erase the memory of the questionable judging that took place in the first fight between Pacquiao and Bradley. Although I commend judges Pernick, Metcalfe, and Trowbridge for the solid job they did in this fight, I again must express my opinion that the need for a national organization to oversee the sport of Boxing in the United States is something that is still needed. For Timothy Bradley and Manny Pacquiao, I feel that both fighters achieved redemption in this fight. Despite suffering the first loss of his career and losing his world title, Timothy Bradley fought like a warrior and it is my hope that the unjust blame he received after the first fight is now quelled and put in the past. Bradley was before the first fight and still is after the rematch one of the best fighters in the world. This loss will do nothing to diminish Bradley’s standing among the best pound for pound fighters in the world. For Manny Pacquiao, he has now avenged one of two losses that most Boxing fans and experts alike feel caused him to lose his standing at or near the top of most pound for pound lists. Whether this victory leads to a fifth encounter with Juan Manuel Marquez remains to be seen. Of course talk will surface again of a potential fight with Floyd Mayweather, but with the current landscape of the sport with rival networks and promoters at odds and in competition with each other, it appears unlikely that a fight with Mayweather would be in the immediate future. There are other possibilities. Although most are probably of the opinion that if a fight between Pacquiao and Mayweather is not made that the next best option would be a fifth fight with Marquez, it is important to remember that Marquez is scheduled to face former Jr. Welterweight champion Mike Alvarado on May 17th at the historic Forum in Inglewood, California. Although most would likely consider Marquez a heavy favorite in that fight, Alvarado is not someone to dismiss and should he beat Marquez, that would obviously elevate him as a potential opponent for Pacquiao. There is one other thing to consider. Now that chapter 2 of the story between Manny Pacquiao and Timothy Bradley has concluded, will there be a chapter 3? 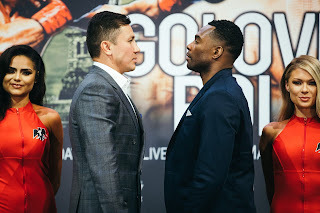 Based on the competitive nature of the rematch and what is likely still a source of contention as to the scoring in the first fight, a third encounter does seem logical. Timothy Bradley has always given his best every time he enters the ring and he did give Pacquiao a rematch. Both Bradley and Pacquiao are class acts that are shining examples of the greatest Boxing has to offer. If it is an available option, I have no reason to believe that Pacquiao would not return the favor.